Your time is valuable and we want to make it convenient for you to get the dental care you need. At our dentist office in Elk Grove, we understand that our patients are busy with work, school and other commitments, making it difficult to fit dental care into their schedules. To make it easier, we offer extended hours, same-day availability, family block appointments and emergency dental care for your convenience. Not everyone can plan their dental care weeks ahead of time or fit time into regular business hours. At Ora Dentistry, we want to make it as simple as possible for our patients to come in for their dental treatments. Whether you need an early or late appointment, need to see us the same day or want to bring in the whole family at one time, gives us a call. Our team will work with you to find a time that fits into your busy schedule so that you can receive care for your smile. If you have a growing family, dental care can become a big drain on your time. Scheduling separate appointments for checkups and treatments for each family member can mean multiple trips to our office. Save time by asking about our family block dental appointments. In one day, you can get the whole family caught up on their dental care. It is just one more way we try to make it convenient to get the best oral care for your family. Life is busy. 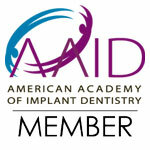 Let us help you fit the dental care you need into your hectic schedule. Ora Dentistry offers convenient scheduling, plus we accept most insurance plans and have payment plans to fit your budget. Contact us today to schedule your next appointment for general, cosmetic, restorative or sedation dentistry at our office in Elk Grove.